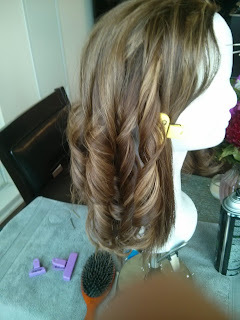 A new bride shared her creative method for styling her new wigs. 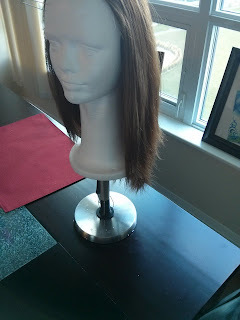 She only had a Styrofoam head but was able to mount it on a paper towel holder in order to curl her wigs with a curling iron! I thought this was a creative and great alternative for anyone who doesn't own a wig stand clamp! 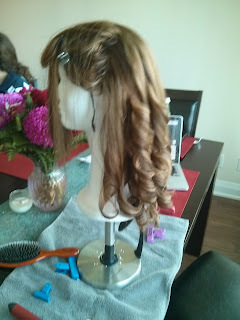 Although resistance is not needed to make curling iron curls, it is necessary to have tension when blow drying a wig straight. So it would be good to have a stand that is sturdy and resists pressure.